As we promised, here we are with another story about the production of the own Balsamic Vinegar in your own house. 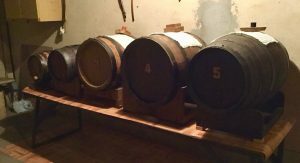 Today we are talking about the Balsamic Cellar of Ivan&Amedea, that creates a Balsamic Vinegar that is the result of the union of two cities: Modena and Reggio Emilia. The one that tell us the story of this Balsamic Cellar is Ivan, a Modenese that was born in Rubiera, therefore he is “relocated” in Reggio Emilia. Why did you decide to have your own Balsamic Vinegar cellar? I woke up one morning with a bad taste of garlic and onion in my mouth, so I said to myself: “I need to wash it out” and I decided to use Balsamic Vinegar: I put a few drops in a glass of water and I drank it all, but I didn’t like it. Maybe it was the strong taste of caramel that disgusted me, so I decided to taste several Balsamic Vinegars in the following days, whose producers each boasted a quality superior to the norm. In conclusion I was convinced that Balsamic Vinegar produced according to the Consortium’s rules didn’t like me, consequently I started to produce it by myself. What are the differences between your own Balsamic Vinegar and the one recognized by the Consortium? First of all, I try to keep the caramel taste as low as possible while I try to keep a high degree of acidity and density too. To have this characteristic I collect two litres of balsamic vinegar every year. As a result, I have the Balsamic Vinegar that I like, the best one for my taste. What does it mean that your own Balsamic Vinegar cellar is a union of two cities? 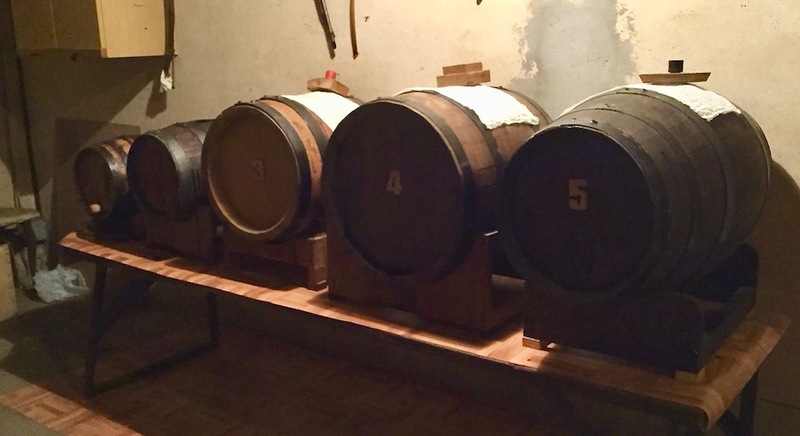 It all depends from the barrels, they belonged to two different families, one from Modena and one from Reggio Emilia. I have five barrels: the first one belonged to Amedea’s father and it is made of juniper. He used it to produce wine vinegar. The second one belonged to my father and it is of durmast. I bought the third and the forth as brand new twenty years ago, they are both of chestnut. Finally, the fifth one, it’s also twenty years old and its purpose was to make Marsala wine; it is made of cherry-wood. How and when you make Travasi (pouring) and Rincalzi (addition)? I do the pouring in the period of the bottling of the wine, but first I take five samples, to check its acidity and density. Later I make an addition to the fourth and fifth barrels.